Dirty Dirty Podcast is happy to announce a new mix for Larry Grogan’s Funky16Corners Allnighter & Pledge Drive. Your donation goes towards the sites operating expenses. Larry drops a ton of great music and knowledge on his site. It’s definitely worth a visit. Oh, and Larry wrote the liner notes for the upcoming LP by The M-Tet. Be on the lookout. It is of my opinion that Adrian Younge will go down as one of the great American composers. Heavy on the deep soul/Italian horror/Ennio Morricone influence. At just 38 years old, his music already has such a deep vibe and sophistication. I can’t wait to see where he goes with it in the coming years. 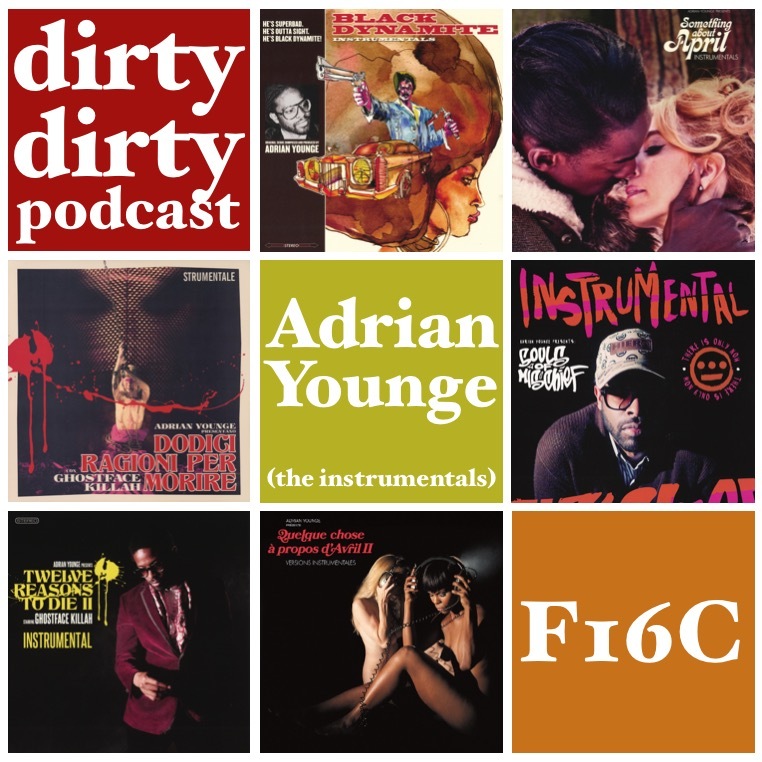 As far as the public knows, Adrian Younge got his start doing the soundtrack to the independent, modern, blaxploitation, comedy-action film, Black Dynamite. He was also tasked with editing the film. After that, his band, the Black Dynamite Sound Orchestra, started playing out and doing some small tours. They have since been renamed Venice Dawn and have two albums out under that name. He has also worked with some elite hip-hop acts, releasing two albums with Wu-Tang’s Ghost-Face Killa and an album with the Bay Area group, Souls Of Mischief. Also, he has an album out with William Hart of The Delfonics. All of those albums (minus The Delfonics record) have also been issued in their instrumental forms. I’ve compiled what I believe to be the best of those and believe that they stand as instrumentals just as well, if not better, than their vocal alternates. Posted on June 15, 2016 by dirtydirtypodcast	Bookmark the permalink.